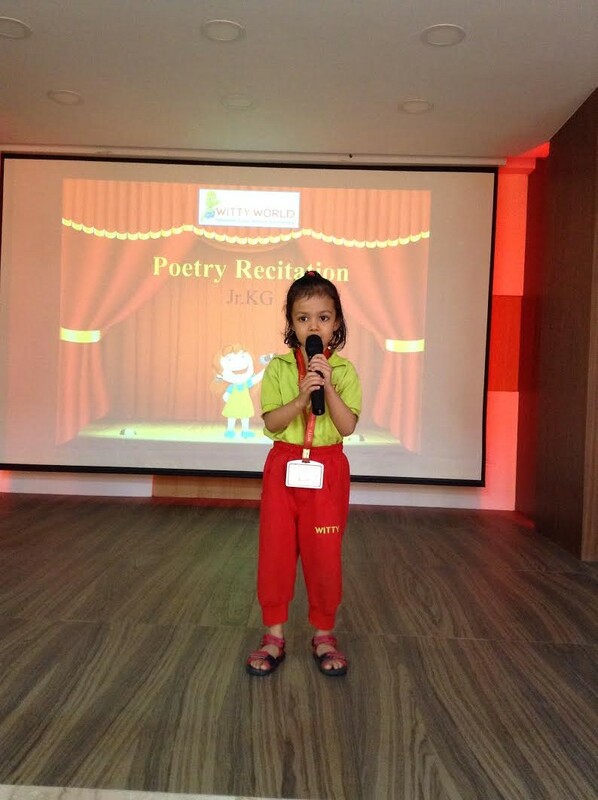 Poetry is a rhythmical creation of beauty in words. 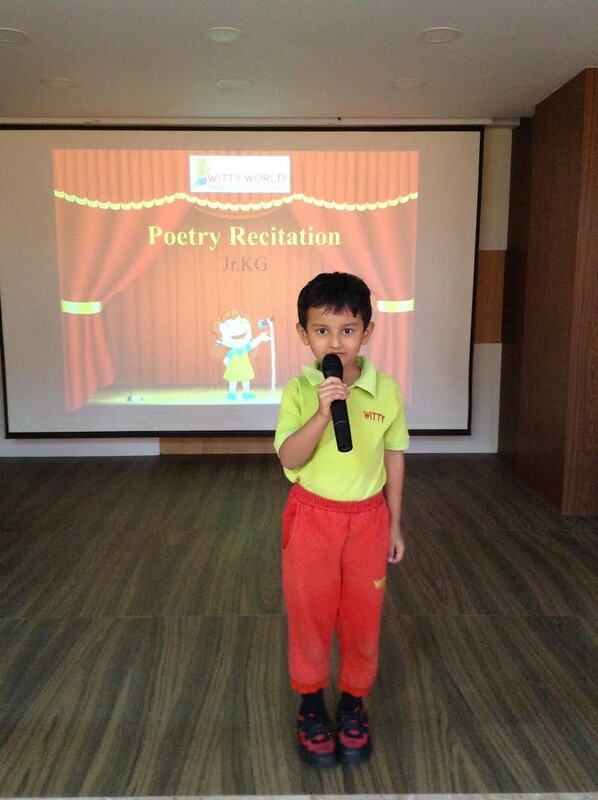 On Friday, 17th March 2017, a poetry recitation was organized for Jr.kg section. Children were given an opportunity to come up on stage and recite a poem of their choice. 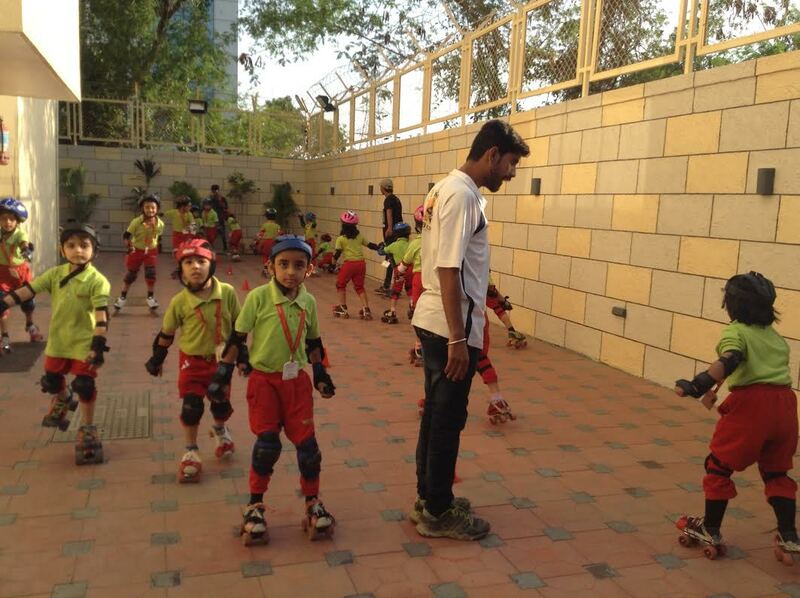 Such experiences help in boosting the confidence of children. Wittians of Grade-3 to 5 enjoyed a two days trip on the top of the hills amidst Aravallis. 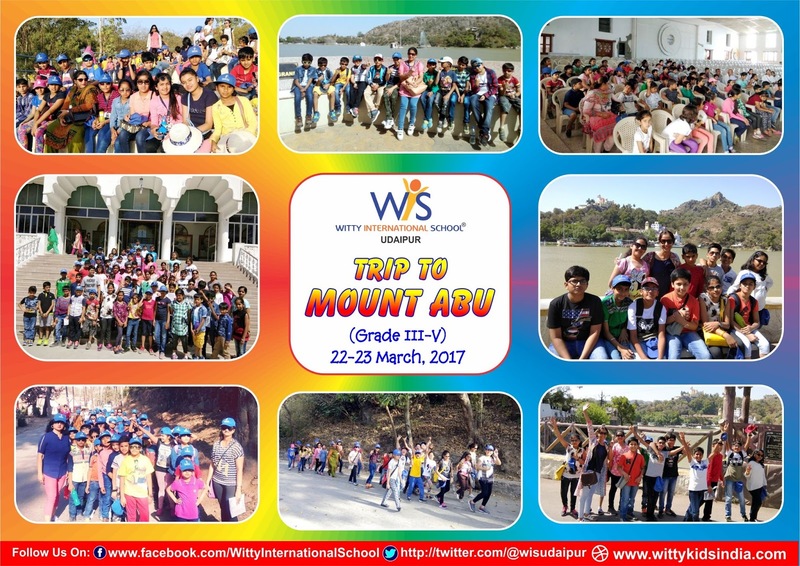 Wittians started the winding route up to Mount Abu in air conditioned buses and stayed in a nice luxurious hotel. 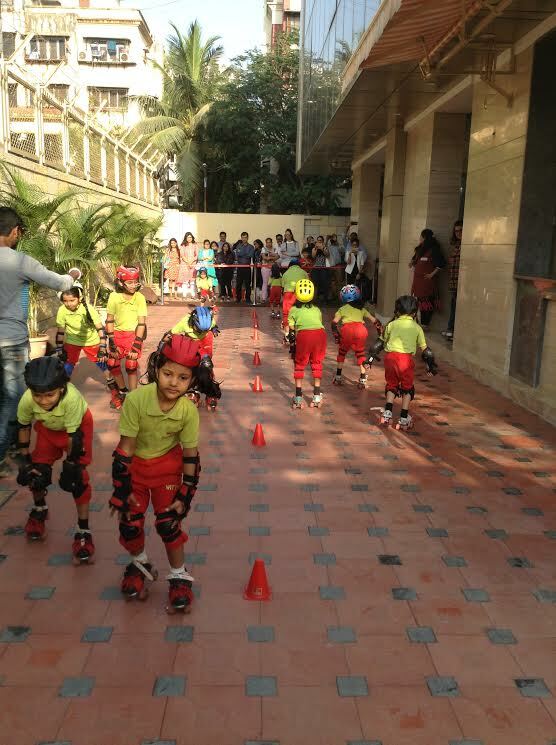 The thrill started with the trekking to sun-set point. The view of sun-set really defined the beauty of nature. 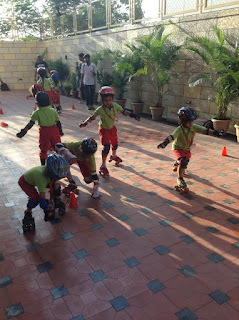 The first day ended with the energetic dance party. 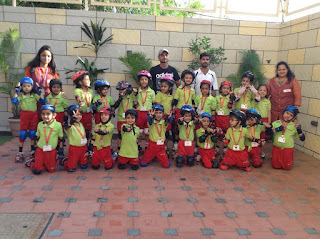 Next day began with the refreshing visit to Nakki Lake after yummy breakfast. 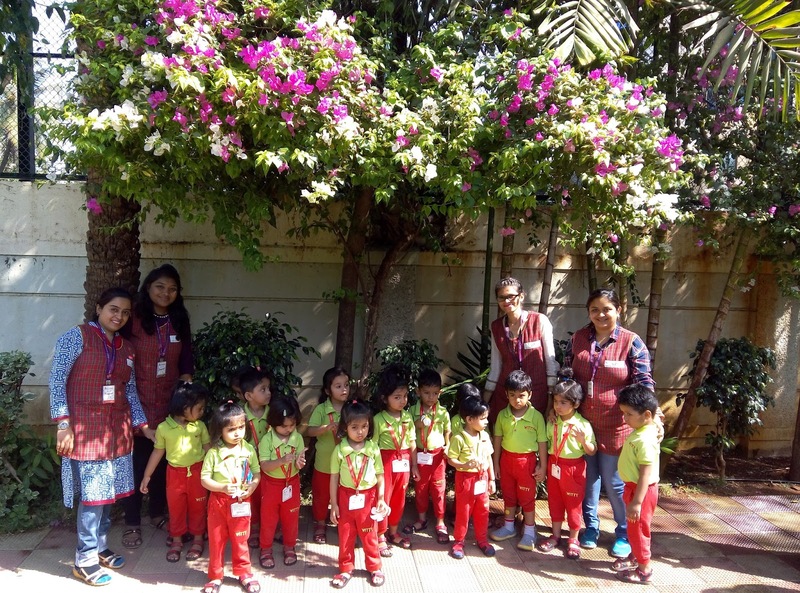 They had a soothing experience which brought their mind at serenity in Brahmakumari Peace Park. 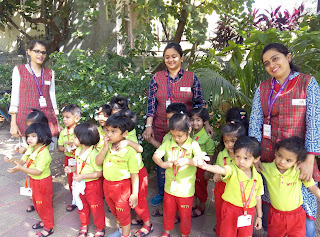 Last but not the least, they were amazed to see the beautifully carried walls, pillars and roofs of Delwara Jain Temple. There fun was not limited here, on the journey back to Udaipur they enjoyed by singing songs. 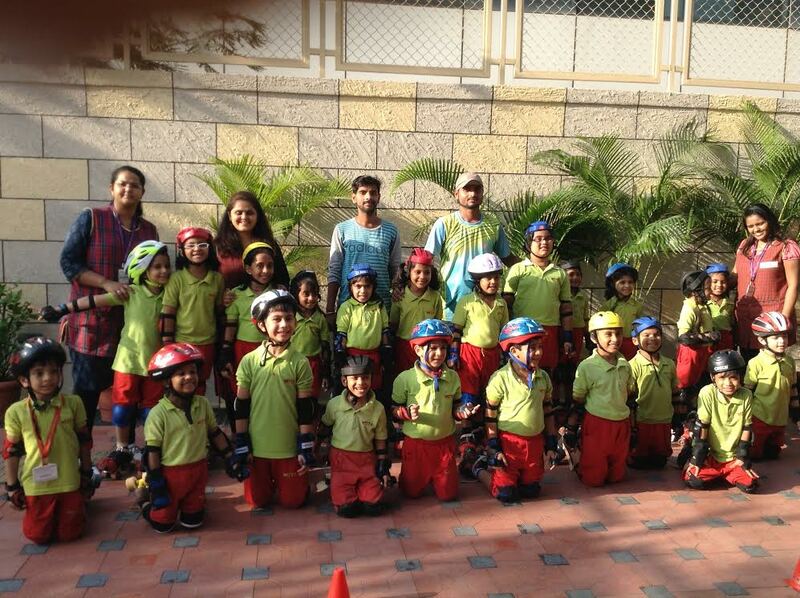 This trip helped foster their camaraderie and friendship to the fore!! 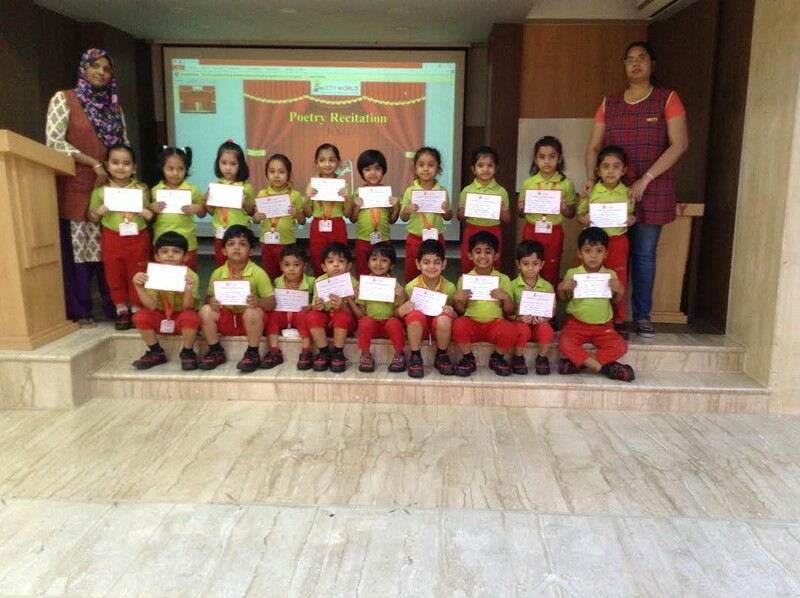 Parents were invited on the last day to see their children perform their newly learned skills…..a proud moment for them,indeed!! 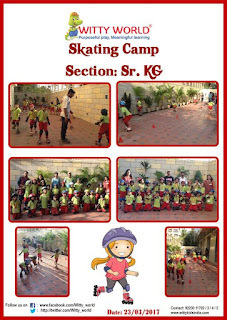 Every year WIS organises a sports camp for a period of one month for the Sr. KG section.The camp was a great, group oriented, fun way to learn skating. On the 21st of March, 2017 where in the parents were invited to watch their kids display their skating talent. It was a day full of fun and a feeling of accomplishment for both, parent and child. 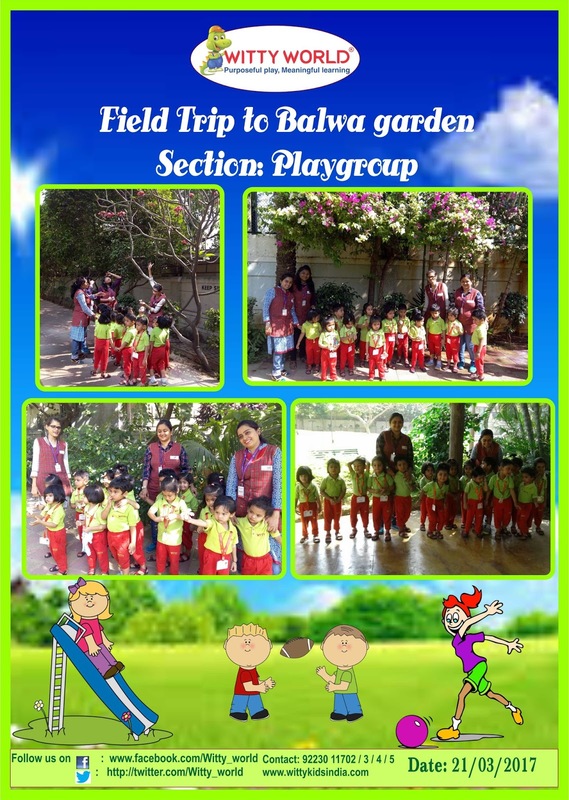 The Children of Witty Kids, Playgroup section, went for a Field Trip on 21st March, 2017 to a garden. 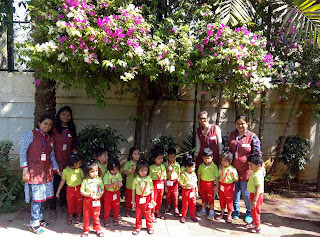 They were very excited to see the Flowers in the garden and took pride in identifying the ones that they were taught about in the class. 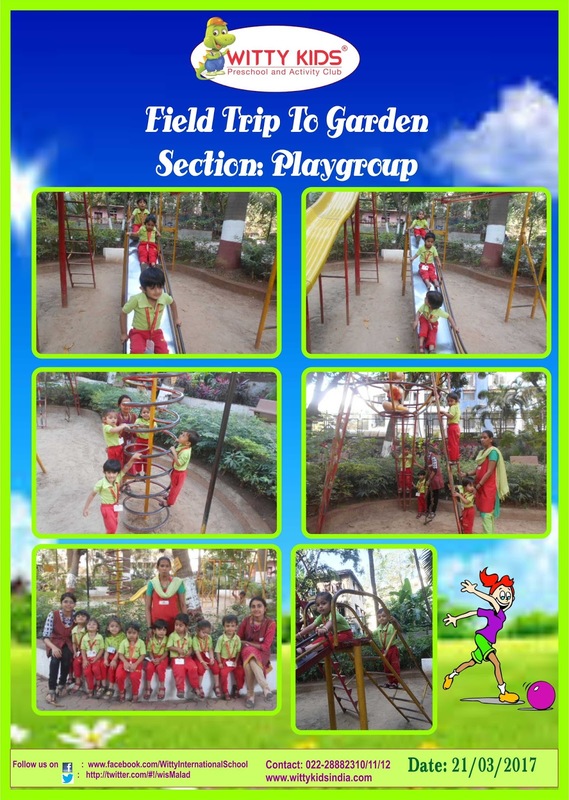 They were very happy to experience nature so closely along with their friends and their teachers. 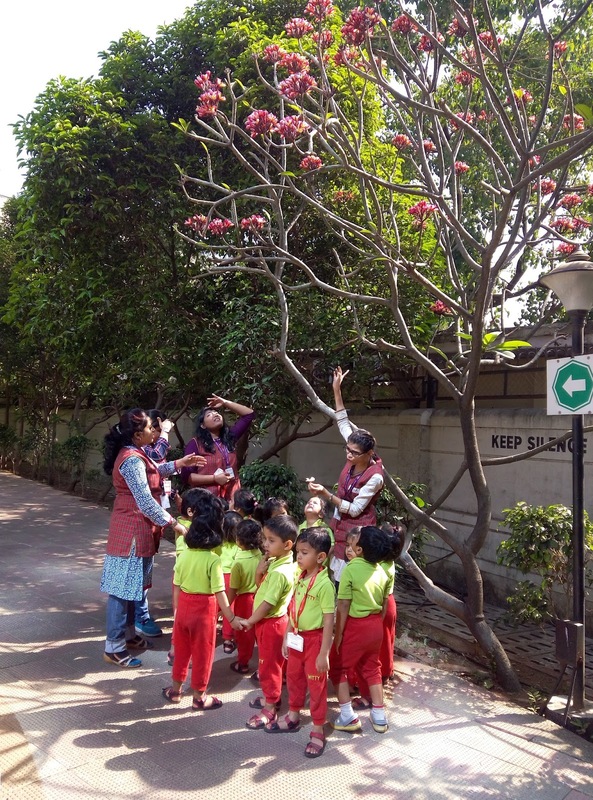 Teachers made the trip very informative by enhancing their knowledge about the insects, plants and flowers. 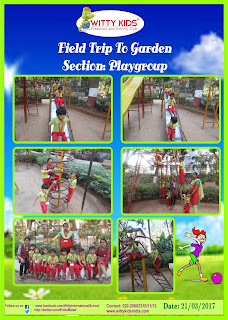 They also enjoyed playing on the slides, swings, balancing bars and merry-go-round. They returned to school after enjoying a fantastic day out with friends in the garden. A little wish and that is that. 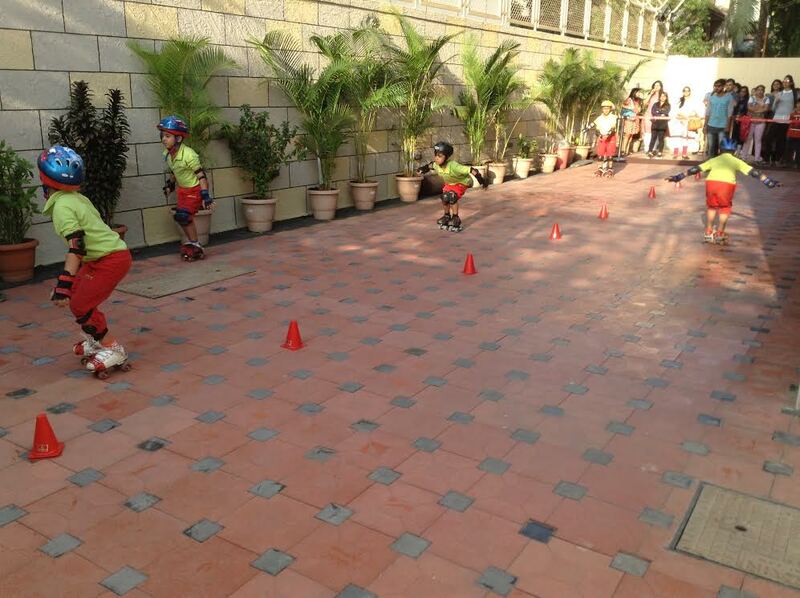 A little Sun a little shower. 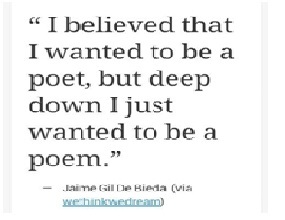 A little while and then a flower. 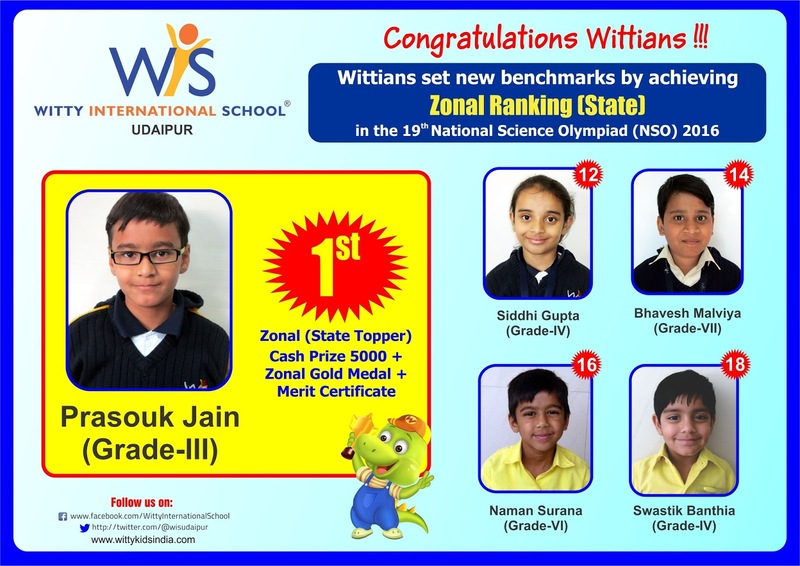 On Tuesday, 21st March, 2017. 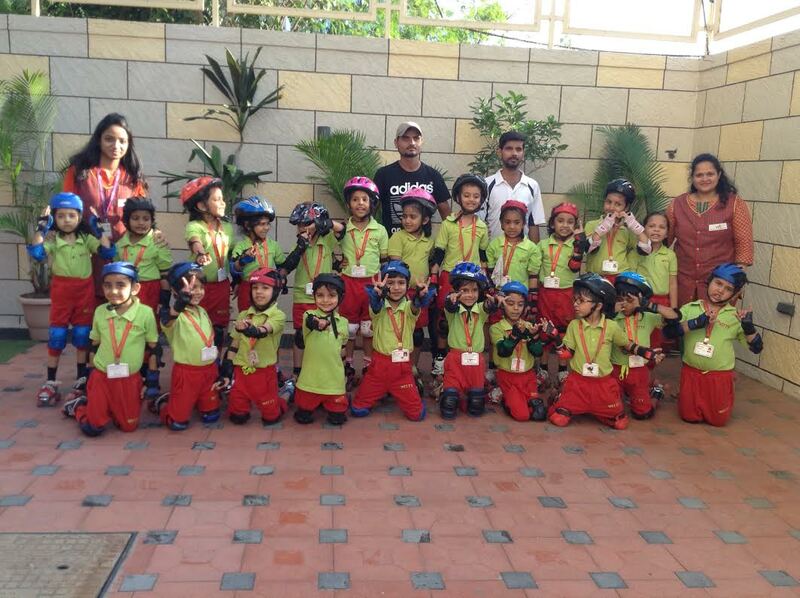 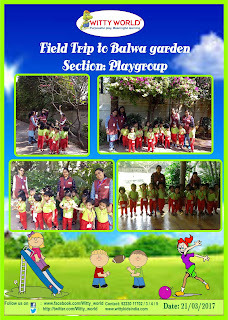 Children of the Playgroup section were taken for an exhilarating visit to a garden. Children enjoyed watching the colourful spring flowers and got a firsthand experience of nature in all her glory. 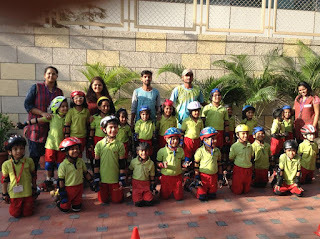 It was good learning and fun, for the young ones .The children had a great time as they learned, played and had fun. 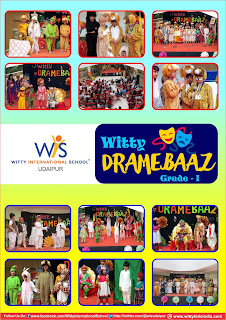 Wittians rocked the stage with their inestimable performances. Cute juniors of Grade-2 performed educational and knowledgeable skits which were appreciated by the guests and the parents. 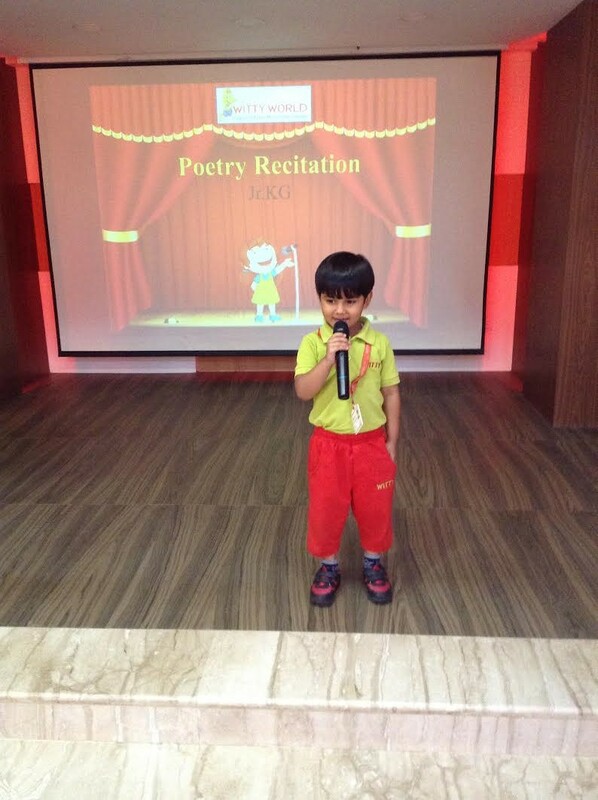 Melodious songs melt the heart of the audience . 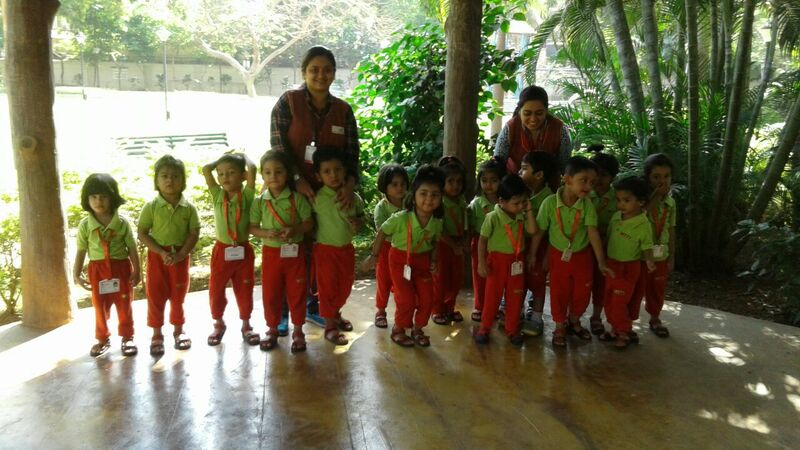 Tiny tots were totally engrossed at the time of playing instruments. 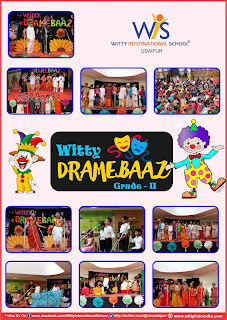 Director Mrs. Preeti Sogani, Principal Mrs. Shubha Govil and Manager Coordination Mrs. Manju Rana appreciated the performances of the young maestros!! 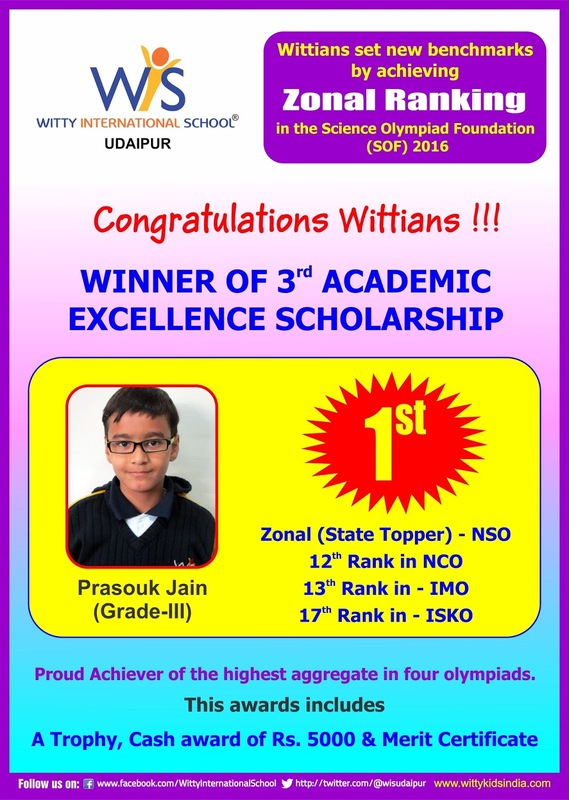 Heartiest Congratulations Prasouk Jain (G-3) on winning the 3rd Academic Excellence Scholarship (AES) for the year 2016-17.
AES award includes a trophy, cash award of 5000/- and a Merit certificate for scoring highest aggregate in 4 Olympiads exams organized by SOF in the entire zone. 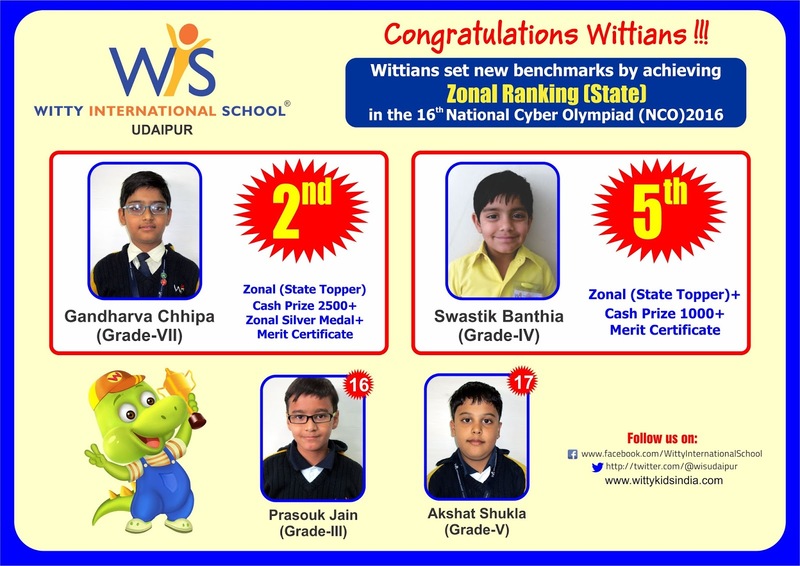 During 2016-17 over 42800 schools from 25 countries registered for Olympiads and millions of students appeared in them. Winning the AES from such large and diverse participants is a major achievement. 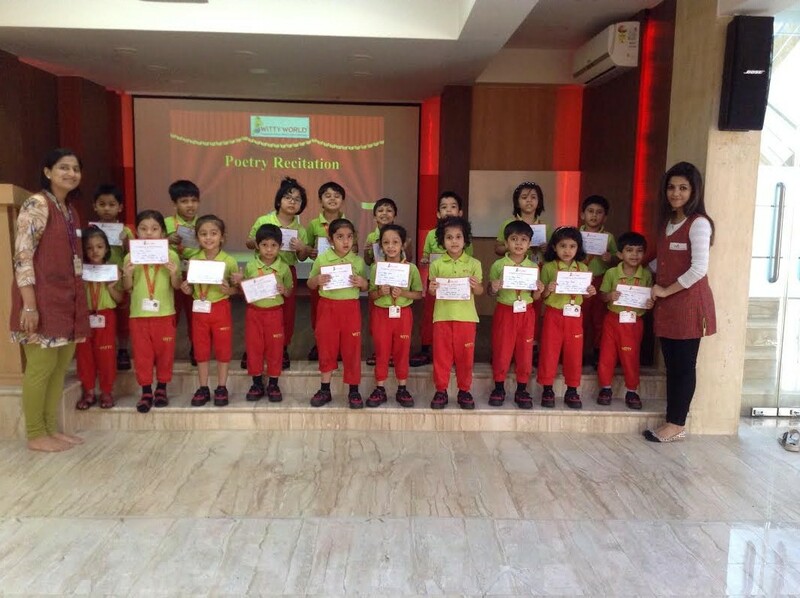 In this session, more than 50 students qualified for the 2nd level of different Olympiads conducted by SOF. 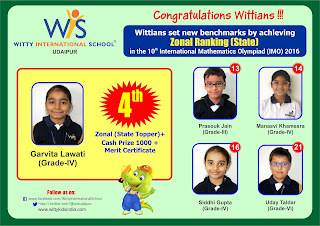 Amongest them Siddhi Gupta (G-4), Swastik Banthia (G-4), Naman Surana (G-6), Bhavesh Malviya (G-7), Garvita Lawati (G-4), Manasvi Khamesra (G-4), Uday Taldar (G-6), Akshat Shukla (G-5), Gandharva Chippa (G-7) stood as Zonal rankers. 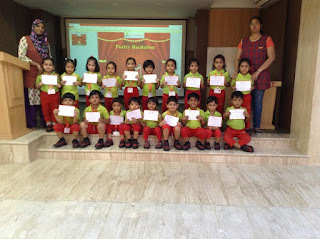 Principal Shubha Govil congratulated the students for their success. Jovial Wittians participated in dance drama show. 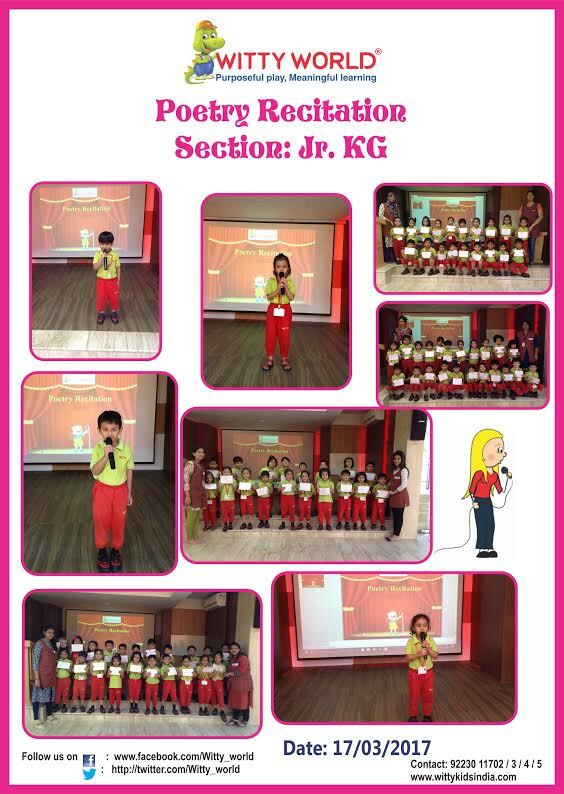 Feeling of happiness and enthusiasm was in the air. 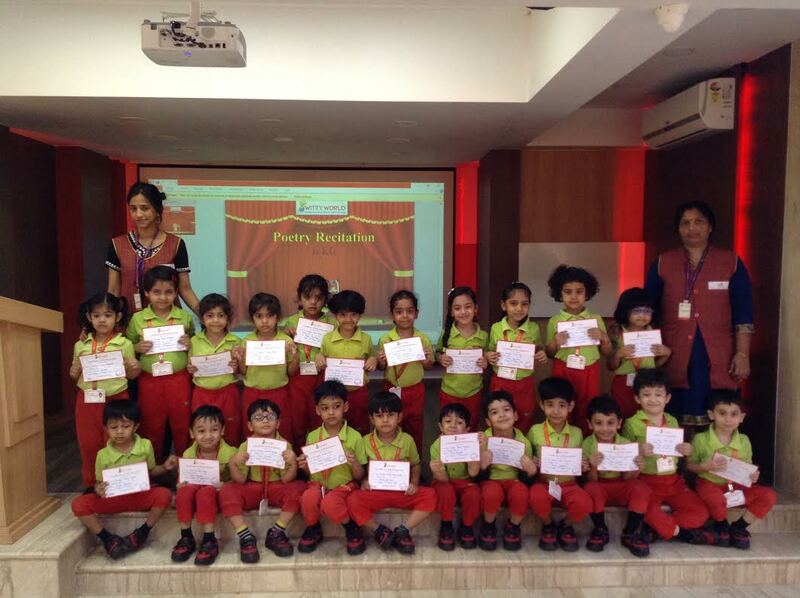 Tiny tots of Grade-1 have learnt new depths of coordination through dance drama act. 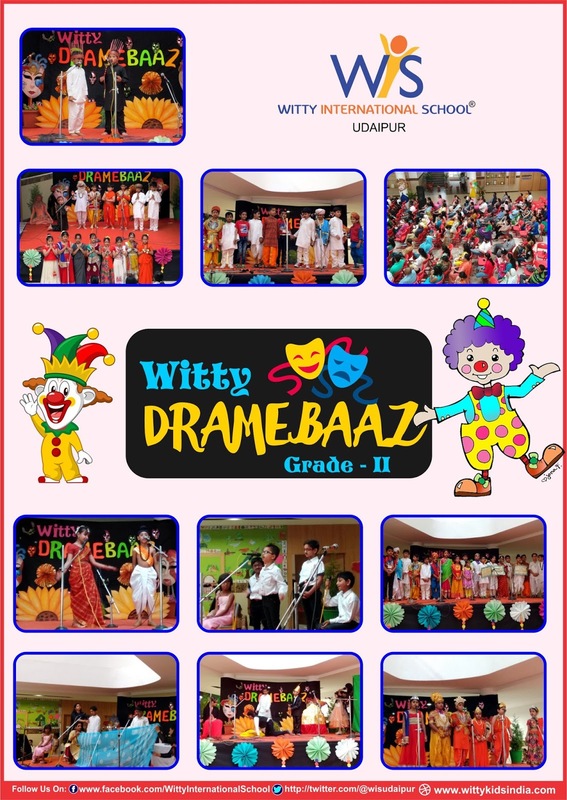 Programme started in an auspicious way by chanting mantras and Lamp Lighting followed by melodious songs. 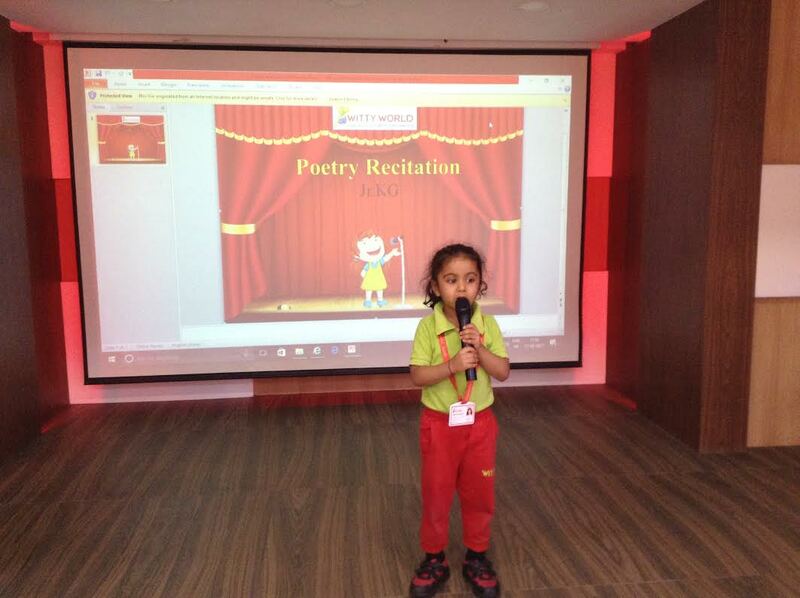 Students presented inspiring stories like ‘ The Lion and Rabbit’, ‘Sheruda’,’Thief’, ‘cow’ and ‘Four Tricky Friends’. The most captivating performance was ‘Birbal ki Khichdi’. 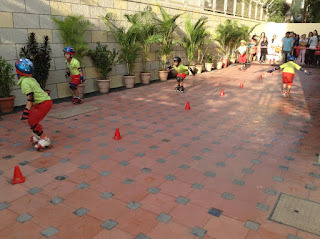 No one could resist shaking their legs on the tune of ‘Tara-Rum-Pam’. Instrumental music was the main focus of the event. Director Mrs. Preeti Sogani, Principal Mrs. Shubha Govil and Manager coordinator Manju Rana appreciated the efforts put in by the teachers and the students together. 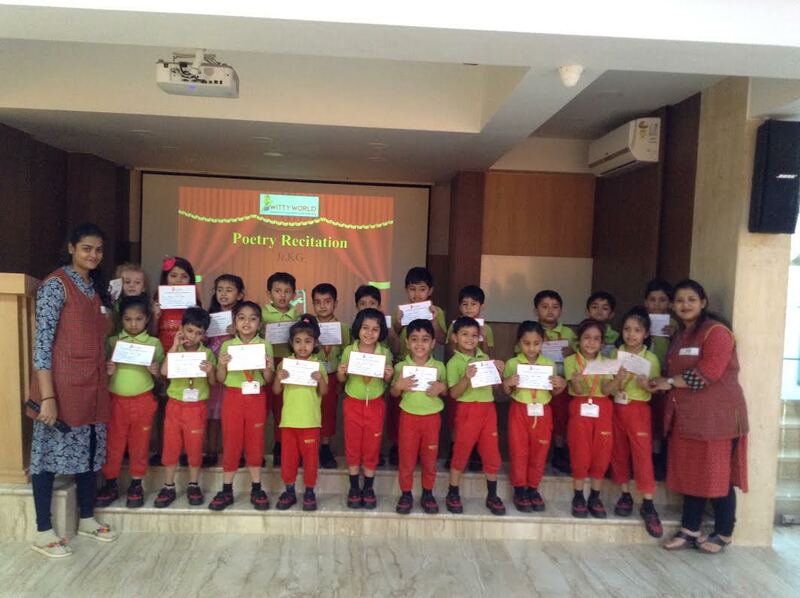 Witty World geared up for the little poets from Jr.kg on Friday, 17th March 2017. 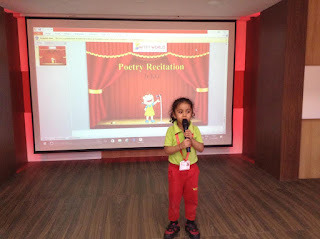 Children were full of enthusiasm as they walked upto the mini podium in the auditorium and recited their favourite poem. Experiences like these go a long way in building the confidence of the children.